A ceremony to award the winners of first day of the International Tournament "GymBala" was held at the National Gymnastics Arena in Baku. 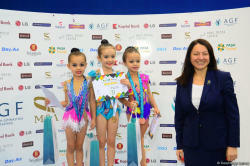 On the first day of the competition, the gymnasts of 2009-2010 birth years completed their performance. 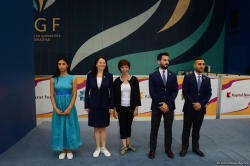 Among the gymnasts 2010 birth year, the first two places were taken by representatives of the Ojag Sport Club – Nazrin Salmanli and Shams Muvaffagi. Ilaha Bahadirova, representative of the Baku School of Gymnastics, ranked third. In the exercises with a hoop Azada Atakishiyeva ranked first, Lala Azizzade ranked second, Amina Gasanova came in third. In the exercises without a subject and with a ball the podium also was taken by Azada Atakishiyeva, Lala Azizzade and Amina Hasanova respectively. 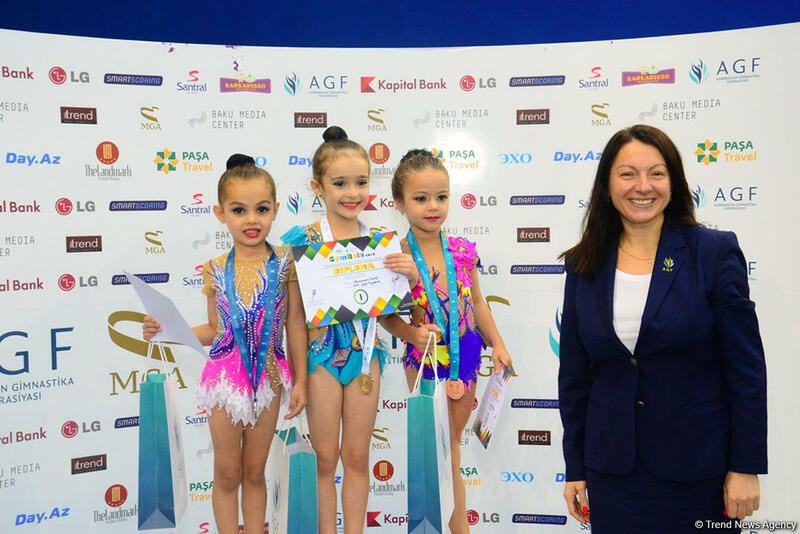 Among the gymnasts 2009 birth year, Govhar Ibragimova ranked first, Maryam Aliyeva (Ojag Sport Club) ranked second, representative of Kazakhstan Arzuzhan Kassumova and representative of Egypt Alia Ossama ranked third. 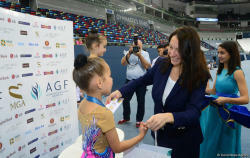 Gymnasts, who won prize places, were awarded diplomas and prizes.